edited by Renée F. Friedman and Peter N. Fiske. 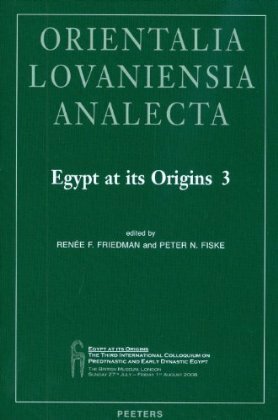 This large volume comprises more than fifty different papers from the proceedings of the Third International Conference on Predynastic and Early Dynastic Egypt held in London in 2008. The papers are arranged into ten major themes including recent fieldwork, temple, ritual and cult, objects and technology, and Egypt, its deserts and neighbours, each well illustrated with photographs, charts, diagrams and an in-depth bibliography. Highlights include: Richard Bussman of University College London on the degree of local variation in early temples, suggesting only a loose association between these temples and the king, in contrast to the pivotal role played by Middle Kingdom temples in the institution of the monarchy; Juan José Castillos from the Institute of Egyptology in Montevideo (Uruguay) using criteria developed from research in the USA, South America, Spain and Mesopotamia to try to pinpoint the transition in Egypt from communal society to hereditary chiefdoms (he concludes this happened during the Naqada I and early Naqada II periods); Friedman et al. discussing excavations of an elite Predynastic cemetery at Hierakonpolis, including the earliest example of above-ground architecture (an extensive wooden mortuary compound) dating to the beginning of Naqada II, and a large, rich burial, Tomb 16, which includes satellite graves for family, courtiers and exotic animals; Geoffrey Tassie from Winchester University on “Your Hair Says About You”, showing how hairstyles are directly associated with the formation of the state – with increasing social stratification, the early elites needed a visual display of status, and hairstyle became the ideal means of showing who was who in Early Dynastic Egypt. With over sixty-seven authors contributing to it, covering architecture, social development, pot marks, relative chronology and recent discoveries at major sites such as Hierakonpolis and Abydos, this volume brings new insights into the early origins of the ancient Egyptian state. The comparatively small, but noteworthy Egyptian collection of the Toledo Museum of Art is not particularly well-known among students of ancient Egypt, at least to those living outside of the Ohio area. This is due to the fact that there has never been a book length study devoted to surveying the principal Egyptian objects housed in the Museum. This lacuna in the literature has now been aptly filled with the appearance of the handsome new volume under consideration here. It is an exceptionally well-illustrated work, with 123 colour and eight blackand- white high quality photographs. It is also nicely printed and bound, and pleasantly designed. 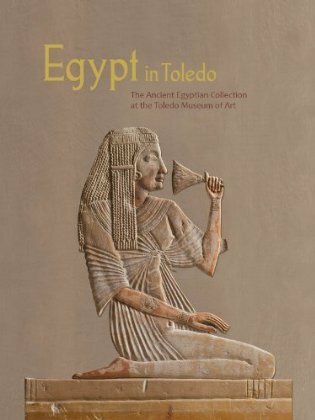 As rapidly outlined in the forward of the book, the genesis of the ancient Egyptian holdings in Toledo reaches back to 1905/06; founders Edward Drummond Libbey and Florence Scott Libbey travelled to Egypt and acquired a significant number of objects for the Museum. The collection has continued to grow over the years with the acquisition of a number of choice works, including material obtained from the Egypt Exploration Fund (now Society) and the Harvard University-Museum of Fine Arts (Boston) Expedition. As duly befitting a “museum of art”, the Egyptian pieces appear, in general, to have been selected for their art historical and aesthetic qualities rather than for their archaeological significance. The Museum galleries currently display antiquities from every major period of ancient Egyptian history. William H. Peck writes with authority and in an easily-grasped style. In his opening essay “Egypt Eternal”, he familiarises the reader with the world of the pharaohs. He briefly touches upon the country’s geographic setting, varied aspects of Egyptian iconography, religious beliefs, and culture. This is followed by a chronological introduction to more than five thousand years of ancient Egyptian art illustrated by the highlights from the holdings of the Toledo Museum of Art. In all, some eighty key objects from the Museum are featured. The monograph ends agreeably with a look at the mummies in Toledo, and a concise discussion concerning their radiological examination and efforts to reveal their secrets. The volume closes with an up-to-date list of books for further reading, and a good index. Egypt in Toledo is a model publication of its kind. The pharaonic antiquities of this city can now reach a wider audience. Many of our readers will be familiar with How to Read Egyptian Hieroglyphs by Mark Collier and Bill Manley, which has proved highly successful, and indeed a ‘best-seller’ for the British Museum Press; they may think that this is an updated edition of that book. They would be wrong, as this text uses a refreshingly new approach to the subject. 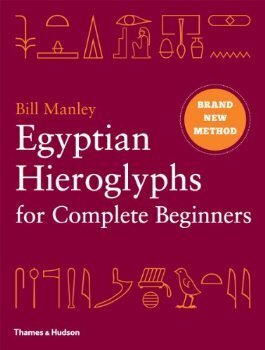 Bill Manley, with his twenty-five years’ experience of teaching hieroglyphs to students at Glasgow and Liverpool Universities, uses a method which is perhaps analogous to that which would be experienced by a foreigner with no English arriving in the UK. He ‘throws readers in at the deep end’, by showing them a series of real inscriptions from ancient Egypt, of increasing complexity, and uses these texts as the basis for explaining the structure and vocabulary of the ancient language. He allows the student to progress at his own pace so that, by the end of the book he should be able to make a good attempt at understanding the kind of inscription he is likely to see on the wall of a noble’s tomb in Egypt, rather in the way that, after a few months in England, our foreigner might be able to grasp the meaning of a tabloid newspaper article. The book contains an index of common signs, common words, and the names of common kings and gods, and is beautifully produced and illustrated in a manner that should make it appealing not only to the ‘complete beginner’ at whom it is aimed, but also to those with a basic knowledge wishing to refresh their skills. I recommend it highly and expect that it too will become a best-seller. The title may bring visions of tomb excavators coming to a grisly end, but with Joyce Tyldesley as author, this is of course a well written re-assessment of everything we know (or think we know) about Tutankhamun, including a brief interpretation of the recent DNA studies (though not in any scientific detail), highlighting the uncertainties and assumptions on which this latest evidence is based. 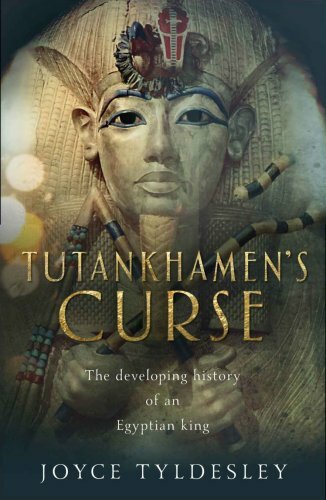 After several pages of notes for the uninitiated, explaining ancient Egyptian chronology, naming conventions and tomb numbering systems, Tyldesley discusses the “many curses” of Tutankhamun, including the modern celebrity-obsessed frenzy that surrounds the boy king, and the early death which robbed him of the chance to make his mark and restore his country to its former glory. Tutankhamun’s tomb forms the starting point for the main narrative, beginning with its construction and subsequent disappearance, the clues leading to its rediscovery by Carter, the clearing and cataloguing of the spectacular tomb goods, and the sorry tale of attempts to remove and autopsy the body, before looking at the evidence for each contender for the boy king's father, mother and siblings. Only then do we come to Tyldesley’s own take on the story, making no claims to be the definitive account, but rather that which she believes best fits the evidence that we have now. For her, it’s not the solving of the mysteries surrounding Tutankhamun that’s important, but rather the continuing investigation and piecing together of fragments of evidence; it’s not just new discoveries, but the re-analysis of already known artefacts that will help bring more clarity to this period. The book ends with a look at the Tutankhamun conspiracy theories (as she points out in “Tyldesley’s Law”, even the most unlikely theories about ancient Egypt will be believed by someone somewhere): the tomb curse and the rumours that Carter stole objects from the tomb. She rounds off with a brief look at touring Tutankhamun and modern Tutmania, asking if we are perhaps more interested in his ‘bling’ than in the king himself. Illustrated with black-and-white and colour photographs, maps, tomb texts and quotations from many of the Egyptologists associated with the tomb, this is an excellent survey of Tutankhamun’s history and historiography for anyone with an interest in the boy who became the most iconic king of Egypt. The many admirers of the legendary ‘founding father’ of Egyptian archaeology, Sir William Matthew Flinders Petrie (1853-1942), will certainly not want to overlook Tine Bagh’s brilliant new volume. Petrie’s varied archaeological expeditions to the Nile Valley and his colourful life were recently celebrated in the museum exhibition In the Shadow of the Pyramids, which was organised by the Ny Carlsberg Glyptotek, Copenhagen. The show ran between November 11th 2011 and March 25th 2012. This attractive book is the fully illustrated and thoroughly researched catalogue that accompanied the exhibition. 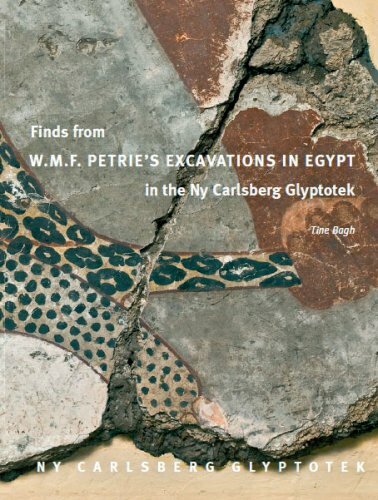 As one of the more generous sponsors of Petrie’s Egyptian fieldwork in the early twentieth century, the Ny Carlsberg Foundation received, following each season, a certain division of his finds, termed as ‘gifts’. As a result of this mutually beneficial arrangement, the Museum’s permanent collection is today enriched with over two hundred of his finest discoveries. This group of antiquities was brought into sharp focus during the exhibit. The objects displayed are reproduced in the volume by means of a large number of outstanding black-and- white and colour photographs, as well as many line-drawings. The author has attempted to put these artefacts into their proper original context, by utilising Petrie’s many publications, his notes and correspondences from archival sources, and other up-to-date references. Given the fact that Petrie excavated at most of the major ancient sites in Egypt, the material in the Ny Carlsberg Glyptotek ranges significantly in date and provenance. Readers will surely find something that appeals to them. For this reviewer, the catalogue entries discussing the fragments of bright wall-painting and reliefs from the famous early Dynasty IV mastaba of Nefermaat and his wife Atet from Meidum are especially fascinating. 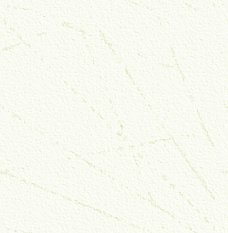 The English translation (editing? ), however, can occasionally be a bit jarring to read, but this is only a minor point of criticism. This is a work that I am quite pleased to have on my bookshelf. I only wish I had been able to visit the exhibition in Copenhagen. Patrick has written widely on topics relating to ancient Egypt, and is the author of The Birds of Ancient Egypt, The Animal World of the Pharaohs, and Wit & Humour in Ancient Egypt. He is a regular contributor to AE magazine. 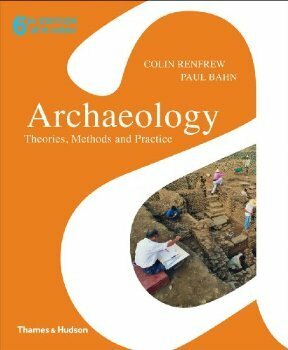 This is a completely revised and updated edition of a best-selling book described as “an introduction to what archaeologists do and how they do it”. It is beautifully illustrated, and although it is not aimed specifically at Egyptologists, it necessarily uses ancient Egypt for much of its source material. For any serious student of Egyptology, especially anyone hoping to take part in excavation in Egypt, it should be essential reading, and for the armchair archaeologist it is a very valuable source of information on the more technical aspects of the subject. Luxor, the site of ancient Thebes, is reckoned to be the largest open-air archaeological site in the world, and has been the focus of intense Egyptological and archaeological activity and research for over two centuries. There are temples on the East Bank but the greater focus has always been on the West Bank, the so-called cities of the dead where the Tombs of the Nobles, the Valley of the Kings and the mortuary (memorial) temples of the pharaohs of the Middle and New Kingdoms are to be found. Living there amongst the tombs, literally beneath this ‘shadow of death’, in the village of Qurna are the Qurnawis. They have been an integral part of the Egyptological work as labourers on archaeological excavations, but also noted with opprobrium as tomb robbers and dealers in illicit antiquities. This largely stems from the discovery by the Abd al-Rasul’s family of the Royal Cache of mummies around 1871, finally declared in 1881. 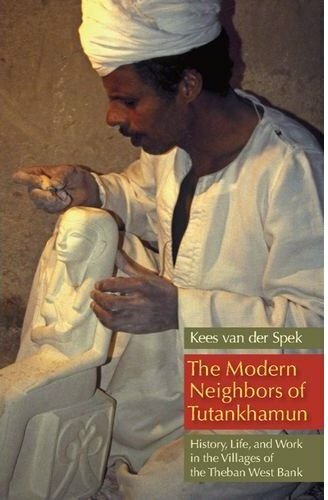 Van der Spek’s book is a brilliant anthropological fieldwork study, a triumph in recording the life of a vibrant community as it faces destruction. The background history of the Qurnawis is documented from their appearance in early European travellers’ accounts, to their modern, personal life in seasonal work on digs, augmented by official posts as guardians of the Nobles’ tombs, and their active daytime activities selling souvenirs, creating fake antiquities and modern ‘antiques’, many of remarkable quality echoing ancient craftsmen. Chapters 8 and 9 are particularly valuable in their detail of the village life and structure. The author is a master of the literature, (although unfortunately one major reference often cited and quoted,Lange, 1952, is absent from the bibliography), and the very full notes often provide an almost parallel text with detail that many familiar with the area, including archaeological teams, will find especially valuable. The general visitor and most archaeologists have no idea of the depth of the Qurnawi cultural background – they see only the community as a colourful addition to their focus on its antiquity. Before the official eviction from the village and its destruction, people such as Caroline Simpson made valiant efforts to bring the story and history of the Qurnawis to themselves and to the wider tourist visitors. However, despite initial official support, that was reneged on by the bureaucracy and all swept away, including historic houses incorporating tombs used by Sir Gardner Wilkinson and ‘Yanni’ (Giovanni d’Athannasi), both major figures in the early days of study and collecting antiquities. Professor Kent Weeks, in his Foreword, sadly notes that a world known to many over decades has been swept away by bureaucracy in creating “theme park tourism”. Officially the answer to Egypt’s economic problems (tourism accounts for over 50% of Egypt’s foreign income), “many believe that this is resulting in the Disneyfication of Luxor, the suppression or physical removal of its indigenous people and their culture, and the creation of an artificial ‘Ancient Egypt Land’ whose appearance owes more to Hollywood than to historical veracity”. The Egyptian Ministry of Tourism hopes to see 16,000 visitors a day on the West Bank by 2015 (presently around 8,000), but only a small amount of this vast income is used to train antiquities staff or protect the monuments. We must be supremely grateful to the author for documenting in a classic account the last breaths as the light is extinguished on the unique cultural heritage of the Theban West Bank. Peter is the author of several books including the indespensible Chronicle of the Pharaohs. This lavish and exciting new book is the important companion catalogue that accompanied the museum exhibition of the same title, Before the Pyramids: The Origins of Egyptian Civilization. The exhibition was held at the Oriental Institute Museum of the University of Chicago, and ran from March 28th to December 31st, 2011. Interest in Predynastic and Early Dynastic Egypt continues to flourish. This is evidenced by the fresh field discoveries that continue to be made annually, as well as by the regular appearance of noteworthy publications devoted to these remote epochs. The present work will doubtless take pride of place as the most highly reliable and up-to-date English language reference relating to these areas of study. This 288-page book features entries on the 129 early antiquities that were showcased in this recent exhibition. Almost all of the pieces were drawn from the permanent holdings of the Oriental Institute Museum. Many of these entered the collection by way of the Egypt Exploration Fund (now Society)’s excavations at Abydos and other sites in the early decades of the twentieth century. The catalogue is thoroughly illustrated throughout, with an impressive array of well-chosen black-and-white and colour photographs, as well as numerous fine line-drawings. Many of these images are seldom encountered in standard textbooks on the subject and are a pleasure to view. What really sets this work apart are the valuable essays, nearly 150 pages in length, with contributions from eminent scholars, focusing on a range of relevant topics: the invention of writing, chronology, contact with the Levant and Nubia, the rise of the Egyptian state, material culture, crafts, iconography, the Narmer Palette, and many others. This brief notice cannot begin to do these articles the justice they deserve. 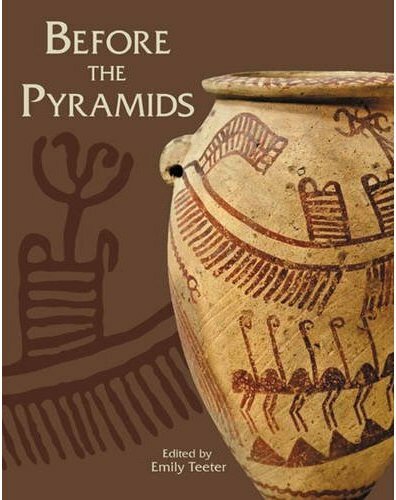 The book draws together many different strands of contemporary research on Predynastic and Early Dynastic Egypt in order to present an overview of both the current state of knowledge and progress of excavation relating to this fascinating area of inquiry.